Having lunch out can easily be over looked. You packed a brown bag, starving yourself to have a few drinks at night or you just go out for dinner. Graze, which you may hear more about for it's brunch and dinner also has a worthy lunch to talk about. The menu is diverse and has many options for vegans, vegetarians, dairy-free, gluten free people or can easily be modified to be. Also if you didn't know already Graze and it's sister restaurant L'Etoile strive to get most of their ingredients locally. So, upgrade your brown bag with a meal to go, stop starving yourself and/or go out for lunch with a friend. Beet & Walnut Burger - cherry tomato, cucumber, red onion, arugula, feta cheese, lemon Greek yogurt, oregano vinaigrette on pepita brioche. Noodle Bowl - braised pork shoulder, pork belly, bok choy, radish, soft poached egg, nori. Pickle Board - daikon, kimchee, escabeche, beets, cucumbers, seasonal selection. Grilled Chicken Skewers - aged cheddar polenta cakes, kale &amp; autumn vegetable salad, spiced pecans, buttermilk-apple cider vinaigrette. 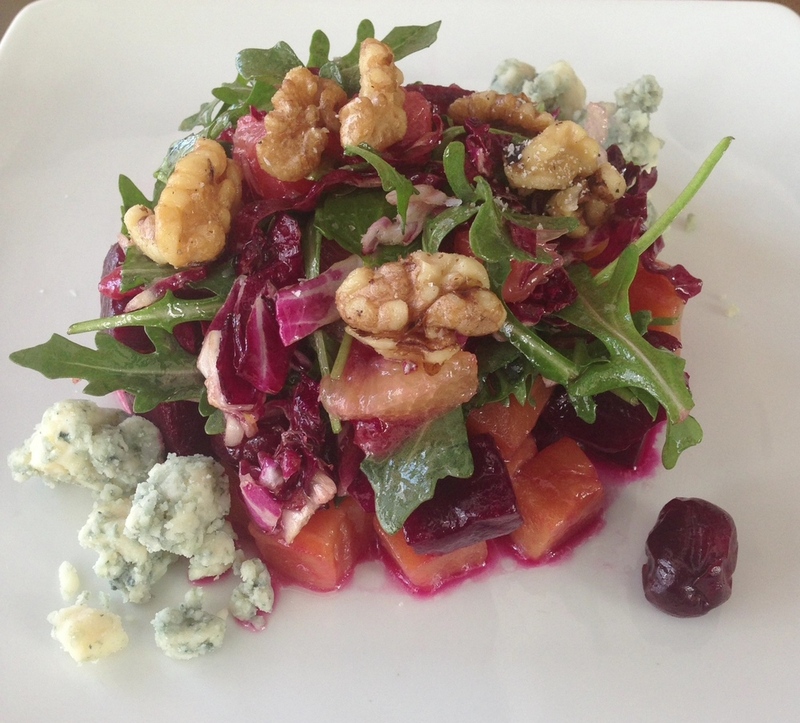 Roasted Beet Salad - Door County tart cherries, radicchio, citrus fruits, Hook's Honey Blue Paradise, roasted walnuts. Smoked Lamb - mustard barbeque sauce, sweet onion, coleslaw on ciabatta. Korean BBQ Pork - marinated pork shoulder, Hook's pepperjack cheese, kimchee coleslaw, hoisin on sesame brioche. Grilled Cheese - Hook's cheddar, tomato, and caramelized onions, on pullman loaf with whole-grain mustard. Added ham for an extra cost. Bibimbap - choice of marinated ground pork or tofu, crispy rice, sunny-side-up egg, market vegetables, spicy gochujang.